Una Mamma Italiana: Introducing Cucina Domenico! Hopefully by now you know about the exciting upcoming collaboration happening right here on Una Mamma Italiana's blog - "The Mama meets the Cucina!" I couldn't be more proud to be a part of something so exciting with an awesome chef and blogger - the real, live "Domenico" of Cucina Domenico! Dominic Condo was born and raised in an Italian-American household in South Philadelphia, and currently lives in the Philly suburbs of Drexel Hill with his wife, Daria, and their two daughters, Julianna and Ava. 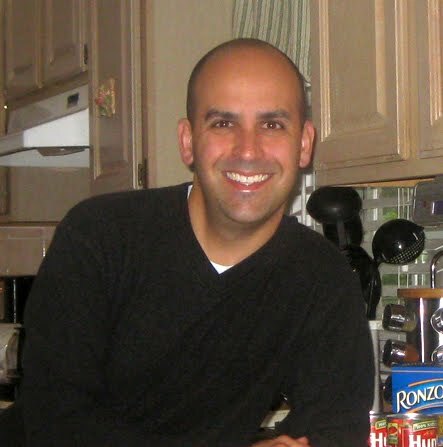 He started his blog, Cucina Domenico, in the fall of 2008 as an opportunity to share his family stories and memories and many of the recipes that would go along with them. Not only does he like to make the traditional dishes, he also likes to experiment by adding his own simple twists. 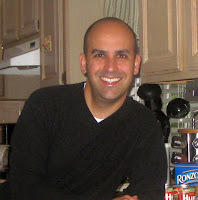 Being a descendent of various Italian regions (Calabria, Naples, Abruzzi and Sicily), he finds it very important that his children are aware of their heritage and the creativity that the Italian culture has to offer, and hopes that someday his site serves as a memoir for them. 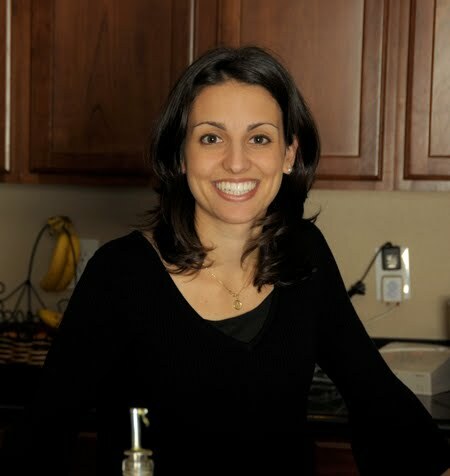 Tiffany Longo was born into a loud, loving Italian-American family with strong values and deep traditions. Today, Tiffany relates her childhood stories and traditions in her own family in simple, everyday ways. From birthdays to baptisms, and feast days to 'onomasticos,' Tiffany never passes up the opportunity for a true Italian festa! To the Longo family, even the littlest holiday is a reason celebrate their heritage. As a result, Tiffany has joyfully burdened herself with the responsibility of helping today's generation of Italian-Americans accomplish these same goals for their children. As a freelance writer, Tiffany's articles appear in La Voce Italian-American newspaper under the column "Mamma Mia!" 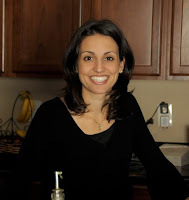 She also keeps up her blog regularly, where you will find everything from recipes to projects to humorous Italian commentary for other mammas and the whole family. Tiffany grew up Italian, is married to an Italian, and is now raising five little Italians of her own. She currently lives in Spokane, Washington with her husband Dominic, her son lil Dom, and her daughters Gabriella, Gianna, Maria, and Giuliana. With all the chaos of five kids (all 7 and under, mind you!) she finds consolation in her family being together, and, of course, eating together. No matter how crazy her household may be, it's never too busy to boil pasta. Wow, what an honor, on so many levels! Looking forward to the fun!